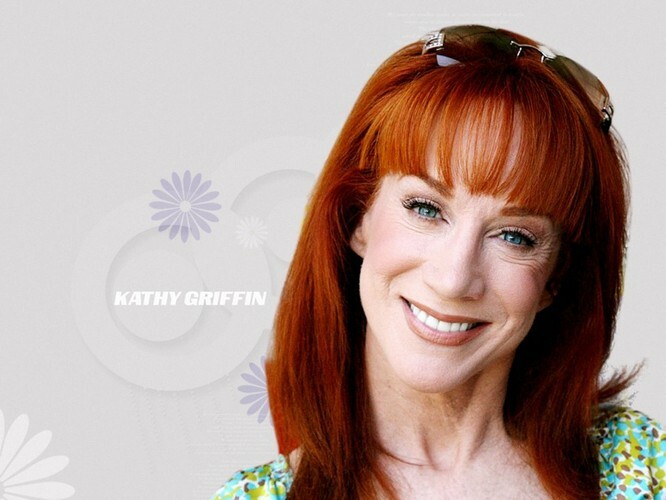 Kathleen Mary "Kathy" Griffin (born November 4, 1960) is an American actress, stand-up comedian, television personality, New York Times best-selling author and an LGBT rights advocate. Griffin first gained recognition for appearances on two episodes of Seinfeld, and then for her supporting role on the NBC sitcom Suddenly Susan. She was the star of the Bravo reality show Kathy Griffin: My Life on the D-List, for which she won two Emmy Awards as executive producer. She has also worked as a voice artist and red carpet commentator, in addition to several other career pursuits. In 2009, 2010 and 2011 she was nominated for a Grammy Award for Best Comedy Album. In her bid to win a Tony Award, she made her Broadway debut in Kathy Griffin Wants a Tony in March 2011. - Wikipedia.